By Kasper Delaney-Petersen | April 28, 2017. Remakes of cult classic films are always going to be an incredibly difficult task for Hollywood studios, especially acquired tastes such as Japanese cartoons. Ghost in the Shell, directed by Rupert Sanders, is a loose adaptation of Shirow Masamune’s comic and Mamoru Oshii’s 1995 film of the same name. Set in the relatively near future of 2049 (20 years later than the original), Major Mira Killian (Scarlett Johansson) is a human mind within a cyborg body, heading Public Security Section 9 of Japan, along with her teammates Batou (Pilou Asbæk), Aramaki (Takeshi Kitano), and others. 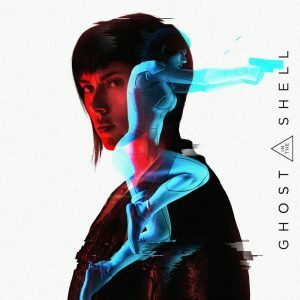 Ghost in the Shell, unfortunately, fails to emulate not only the themes and atmosphere of the original film, but also the pacing, one of the main things that made the original stand out. At the same time, there is far too much emphasis on the theme of meta-humanity, shoving down our throats the fact that the Major wonders whether or not she is truly human while neglecting (although not completely) the theme behind the film’s title, body-mind duality. In the original, the Major is purposefully made to seem emotionless and doll-like. There is a fine line between apathy, confusion, and loss of self that is purposefully blurred in the major’s character in the original. In the remake, the best I can say is that these feelings are ‘remade’, not replicated, ultimately falling flat. This remake is also unfortunately plagued by jerky CGI at the beginning, however, it does pick up as the film progresses. This is not to say the film is a disappointment, in fact, it is far from it. The performance of each member of the cast is one of the strongest points as the chemistry between the characters is easily recognised. It is also a visually stunning piece of entertainment, with the cityscapes of futuristic Japan a beautiful sight to see. Another triumph of the film is its soundtrack, primarily electronic, which fits the tone of the work perfectly. The film is definitely worth a watch for fans of the series. There’s no real reason to avoid it. Other than the failures this remake made, it’s actually quite an enjoyable film. Possibly its main downfall is the fact that it is a remake. Perhaps, as its own product, it would have been more appreciated. Ghost in the Shell is worth a watch as a simple popcorn flick, just a quick shot of entertainment, which it will definitely deliver.